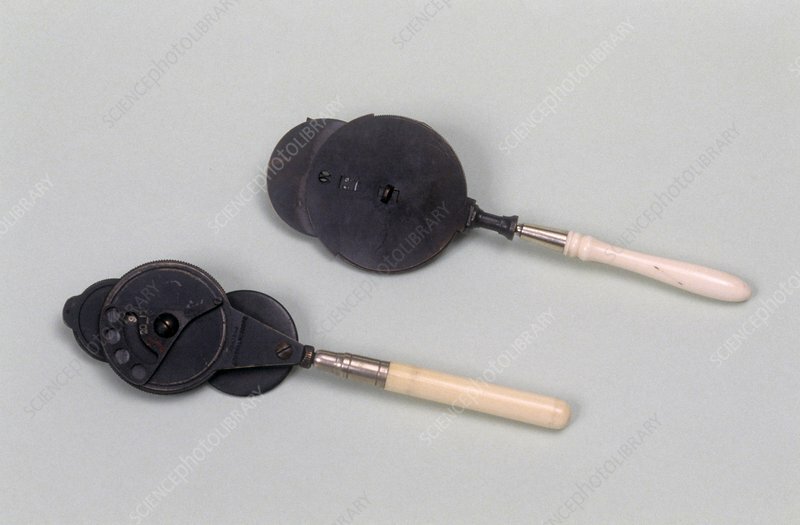 Two Ivory handled ophthalmoscopes. These devices are used for examining the inside of the eye using light. Early ophthalmoscopes were introduced in Britain in the 1850s. These examples date from around 1870.